Hals (1584-1666) was born in Haarlem. 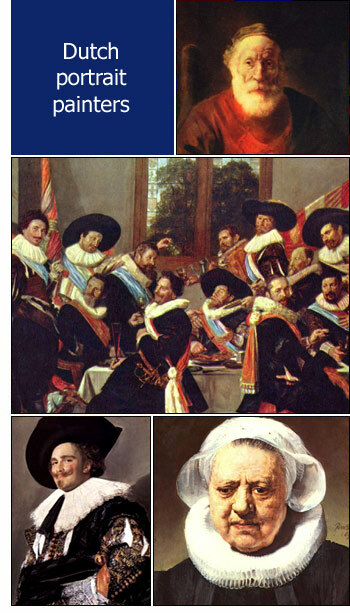 Rembrandt van Rijn surpassed Frans Hals only in one respect, the romanticism of his light-effects. Hals was his equal in every quality. Rembrandt van Rijn (1606-1669) was born in the city Leyden. His beautiful world famous paintings show strong contrasts of light and shade, with the dark predominating.